The Waterfront: First meeting of the year! Don't forget our 1st meeting in the New Year will take place next Tuesday Jan 8 at Langstaff Community Centre. 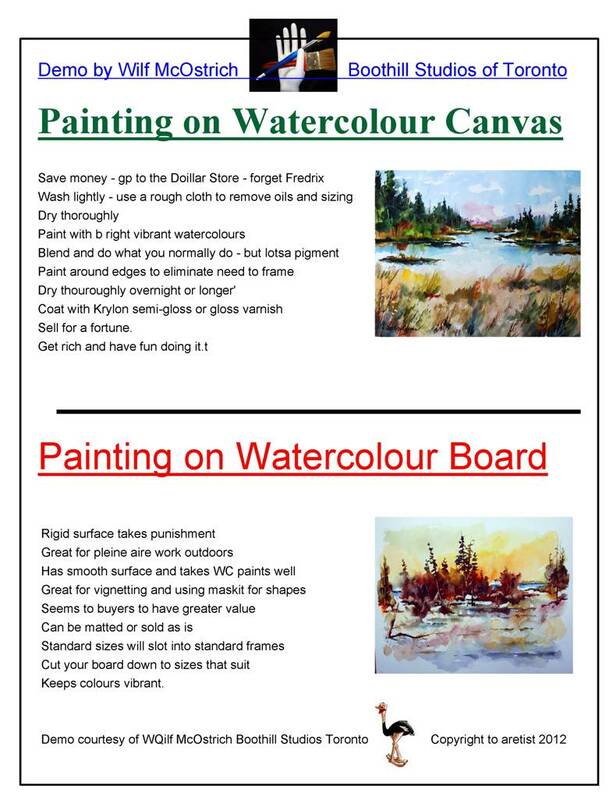 Wilf McOstrich will be demonstrating. Its going to be a great evening so Don't miss it! Wilf will begin the evening by doing a 10 x 14 snow scene from the Hockley Valley near Shelburne. In this demo he will role play and pretend that he is actually standing in two feet of snow with a temperature hovering near zero... in other words he will work really fast and loose to capture everything before the paint gels and I stiffen like a board. 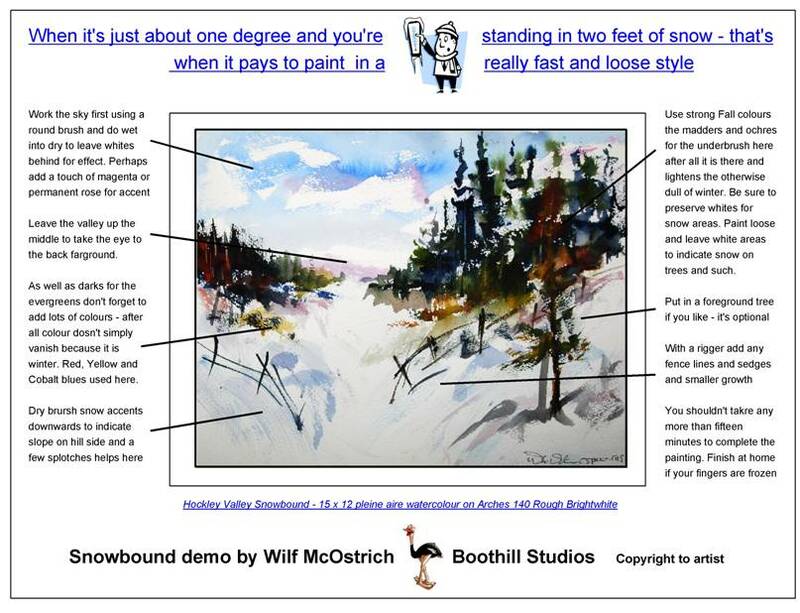 He willl demonstrate how to capture snow, how to develop depth and the need for vibrant colours to off set the very essence of all that white. Here’s the visual as a handout sheet. He will then move along to show us how watercolour board with its Fine surface texture can be used to capture snow in a much more delicate, subtle and moody manner. 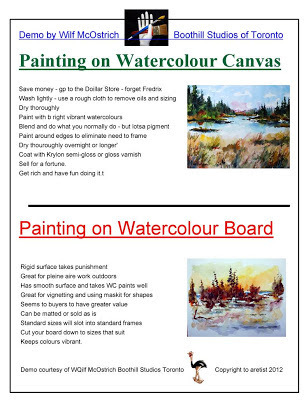 Lastly he will then demo – painting watercolours on canvas. Showing how to use prepared canvas that can be bought at any Dollarama store for under two bucks.